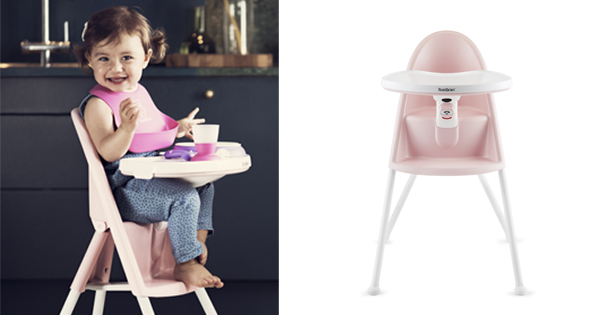 Mealtimes can be a juggling act with wriggly toddlers and bowls of food, so it‘s good to know that apart from being a very stylish high chair, this brilliantly simple Baby Bjorn design has safety front of mind too. We loved it in white and utterly covet it in the newly available light pink and breezy turquoise. For a start, there are no complicated harnesses to deal with. Just sit your child down and lock the cleverly designed foldout table in place. 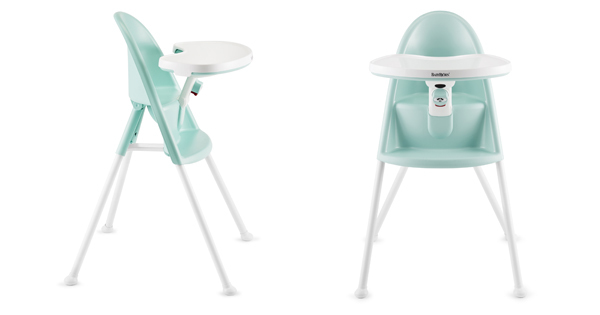 The table fits snugly against little tummies to prevent standing up whilst also guarding against food spills on laps. The table is adjustable to three levels and even locks into place with one hand so you can manage no matter how full your hands are. A winning combination of smart safety and modern design. Made of light and durable BPA free plastic, the smooth surfaces and lack of sneaky nooks for food to hide make cleaning up a breeze with a simple wipe down. Suitable for kids from six months to three years, the lightweight and compact design means it’s easy to carry and store too. These gorgeous new colours will be available in March 2016 for $299.95. Check Baby Bjorn for stockists.